When I think Anastasia Beverly Hills, I think of Sephora and America, expensive but luxurious. 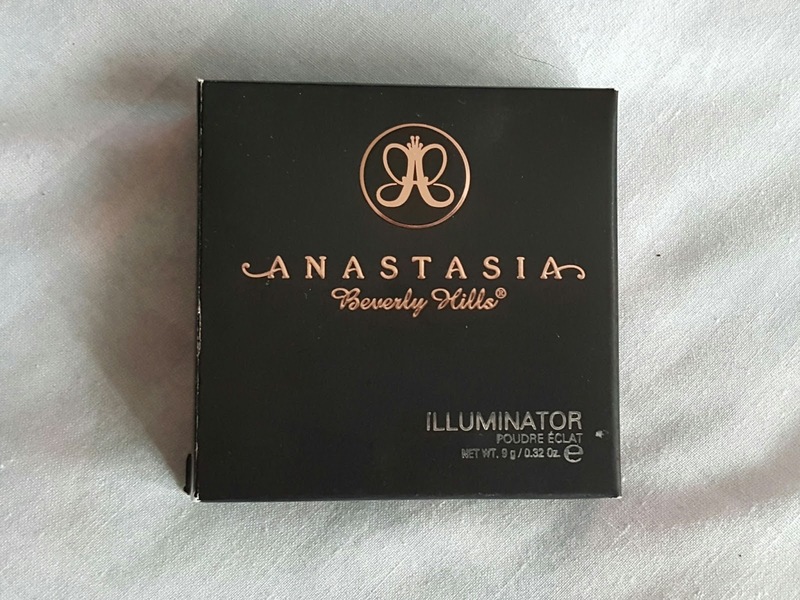 So when I finally got my hands on the Anastasia Beverly Hills Illuminator, I had high hopes and expectations. But, first where can you buy it?? Well if you are lucky to have a credit card (though makeup hoarders please be don't) you can order it straight from the Sephora website (if in the UK). Other than that, the only other way of picking one up in the UK is through Beauty Bay. Beauty Bay is a fab website if you are after some American beauty products, not everything but a good selection (no sponsorship, just like the site). First impressions....the packaging is beautiful, very professional and I'm obsessed with the rose gold font on the box, beautiful. Out of the box, I am actually quite surprised, its not what I was expecting at all. The compact is very much plastic and doesn't feel like the £28 you pay for it. 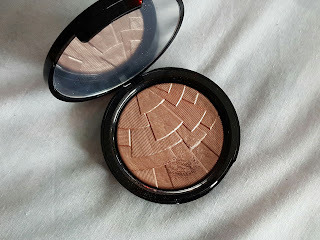 Mac compacts at similar price feel much better than this, it is a little disappointing. However, you do get that beautiful rose gold font on the compact. It is fairly secure when lifting the lid, though I think with constant use it may start to wear out. When it is open you are met with a large mirror and the beautiful powder illuminator. The shade I picked up is Riviera, which when I looked online was lighter than the other shade available. In the compact the product is beautiful, full of dimension and shine, very hard to tell its exact shade. After a swatch, the product is phenomenon! 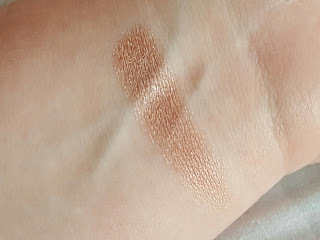 It is very much a light golden bronze shade, to light for contour but a little dark to build it up on pale skin. As a light swipe on the cheek bones it has a lot of dimension, and if over done could look a little over the top. However, it is very beautiful, and I think the actual product is worth the price. Overall I would recommend this product on the basis of the powder itself. However, as an overall it doesn't seem to keep that quality through out the packaging. If the packaging was a little less cheap looking it would be worth every penny. 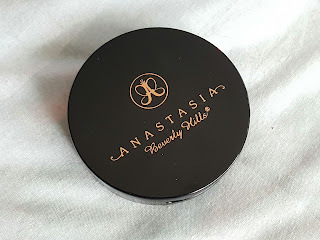 Have you tried any Anastasia Beverly Hills Products?? The only ABH product I've tried is the contour kit which I love but I have a proper hankering for this now I've seen the lovely shimmer shade!